Allen, V. (ed.) 1991. 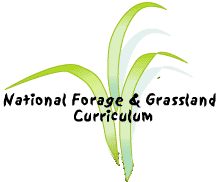 Terminology for Grazing Lands and Grazing Animals. Pocahontas Press, Blacksburg, VA. (see also J. Prod. Agric. 5:191-201) McIsaac, G., and W. Edwards.(eds. ), Sustainable Agriculture in the American Midwest. University of Illinois Press. 1994.